The wearable tech sector is on fire these days. Cheap computing hardware, opensource software and miniaturization have combined to make wearable tech the next big thing. Considering the potential of the industry, it would behoove hungry entrepreneurs to investigate their options insofar as profiting from this trend. Though the challenge may seem daunting, you don’t need an advanced engineering degree to develop wearable gadgets. The following brief guide should prove invaluable on your journey to wearable tech titan status. Obviously, you’ll need a unique wearable tech idea to get your company off of the ground. While there are thousands of great possibilities, it’s probably best to roll with something that hasn’t been done to death. Avoid emulating gadgets like the Fitbit Flex or Jawbone. Take your cue from companies like Narrative, Kapture, InteraXon, Hexoskin and Emotiv as far as inspiration is concerned. Anything from brainwave-monitoring gear to smart clothes could work under the right circumstances. Life logging gear and health-related gadgets are particularly hot draws at the moment. 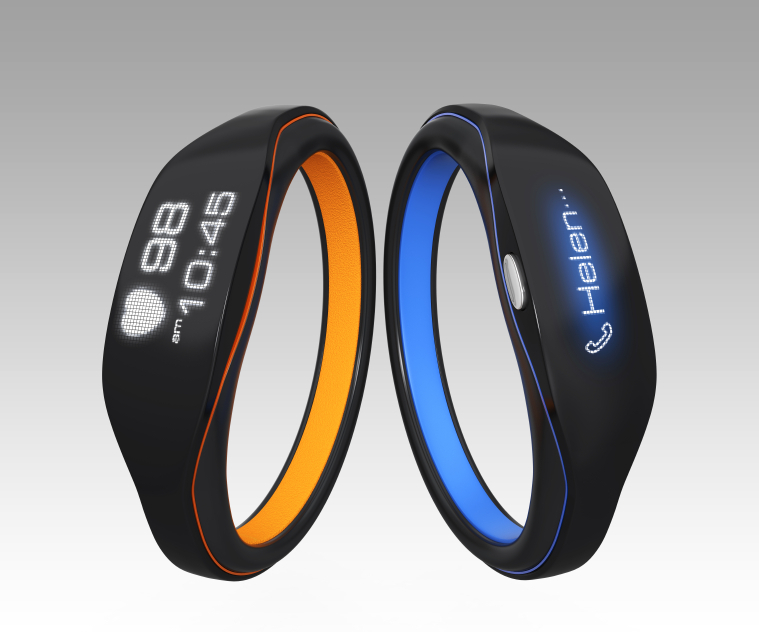 Developing wearable tech devices can be pricey when all is said and done. While you could take out a traditional loan or court private investors, taking the crowdfunding route is arguably the best way to fly. Sites like Indiegogo, Kickstarter, and FundAnything allow entrepreneurs a few advantages insofar as project development goes. For one thing, pre-selling your product allows you to gauge potential consumer interest. Furthermore, it enables entrepreneurs to mitigate financial risk when bringing new gadgets to market. As per usual, you’ll need to carefully plan the formation of your enterprise to avoid legal complications later on. At the very least, an LLC or other corporate entity should be created and business licenses acquired from your city or state. It’s probably wise to consult with an experienced attorney to determine the best way to structure your company. If your wearable tech idea gathers momentum and attracts interest from venture capital investors, you’ll need sage legal advice to avoid being taken for a ride. Once you have your idea fleshed out and a business structure in place, you can move on to the experimentation phase. As far as prototyping circuits goes, an Arduino and a breadboard will work wonders. For the actual design, opensource programs like FreeCAD and Blender make digitally sketching out your ideas easy and cheap. Use a MakerBot 3D printer to churn out relatively affordable and easy-to-produce plastic parts. Focus on producing prototypes first and worry about out the miniaturization later. When settling on a manufacturer, use online directories like Maker’s Row and MFG to find domestic firms or Alibaba and AliExpress to locate foreign factories. You could alternatively employ a hybrid model where some of the product is manufactured elsewhere while the final assembly occurs in house. Opt for nearby manufacturers if possible when you outsource so that you can keep a close eye on quality. Community-oriented industry groups like We Are Wearables can help you to find the best solutions to manufacturing problems. While putting out a topnotch product is integral, the manner in which you release it is equally important. To make sure that everything works well from the get-go, aggressively alpha and beta-test your wearables before unleashing them on the public. Obviously, a big part of the equation is going to be software. For the best results, you should use opensource code components that have been thoroughly vetted by a broad swath of developers. Publish your software on a code repository like GitHub so that others can tinker with and improve it. Making a big splash with the average consumer early on is critical if you’re to succeed in the rapidly evolving and cutthroat world of wearable tech. If at all possible, garner the support of social media celebrities that are taste makers in their respective fields. Use sites like Reddit and Google+ to spread the word about your product. Leveraging video platforms like YouTube to market your gadget will go a long way towards increasing the likelihood of scoring a viral hit. Slated to hit $19 billion in sales by 2018, the wearable tech industry is on the cusp of exploding. As such, there’s no time like the present to dive in with both feet. Even if a particular wearable tech idea turns out to be a dead end, the experience of failing will help you in your next venture. Once you have a hit on your hands, quickly pivot to the next potential moneymaker to maintain your entrepreneurial inertia.